Success! Esther from Malawi raised $650 to fund gynecological surgery. Esther's treatment was fully funded on November 1, 2018. She will be able to return to her daily activities. She is looking forward to attending church and chatting with her friends. Esther is a smallholder farmer from Malawi. She has a small farm and keeps busy with housework, while enjoying reading the Bible in her free time. She lives with her husband. Together they have three children and a grandchild. Since last year, Esther has been experiencing pain and bleeding. She has been diagnosed with cervical cancer. She needs to undergo a hysterectomy, a procedure in which surgeons will remove her uterus. Our medical partner, World Altering Medicine, is requesting $650 to fund Esther’s surgery. 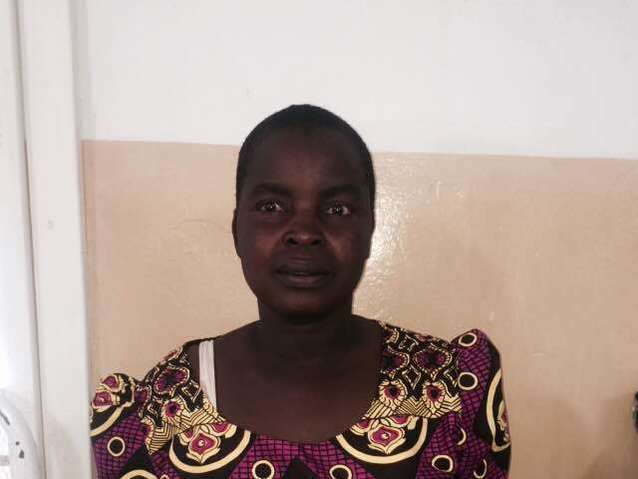 On September 14, she will undergo gynecological surgery at Nkhoma Hospital, our medical partner’s care center. The requested money pays for supplies, medications, and seven nights of hospital stay. She is very happy to be helped through surgery to overcome the problems that are bothering her. Esther's case was submitted by Angela Quashigah at World Altering Medicine in Malawi. Esther was submitted by Angela Quashigah at World Altering Medicine, our medical partner in Malawi. Esther's profile was published to start raising funds. Esther received treatment at Nkhoma Hospital. Medical partners often provide care to patients accepted by Watsi before those patients are fully funded, operating under the guarantee that the cost of care will be paid for by donors. Esther's treatment was successful. Read the update. Esther's treatment was fully funded.